I loved this photo the moment I saw it, but it took a little coaxing and cajoling to make it look as “pretty” as it is now. I am pleased that it turned out so well. 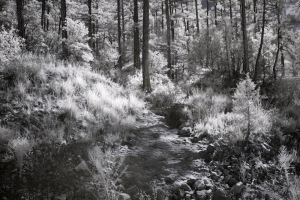 It is another image that I shot at the “rock wall” near Blue Crossing in the White Mountains of Arizona.